I don’t believe in god. Not the Catholic god of my youth, nor the Christian god for whom racists justify their commitment to creating an American ethno-state, nor the capital-U Universe the conscious community likes to use as a stand-in for an anthropomorphic deity, nor the holy presence that exists to serve as the guiding force for all things in Eastern religions and doctrines. I didn’t want to come to this conclusion — that the universe is merely just math and science, and we are all just random, predetermined points playing out an exponential symphony of growing change and cacophony under the umbrella of “order.” I think anyone given a preference would like to believe such a figure exists: a divine creator, a benevolent sage, an all-seeing eye. At least then we could rest easy, knowing a plan was in place, put into execution by unwittingly loyal and dutiful servants. Everything as it should. Everything as it must. I’ll be brief in my findings, and if time permits or the demand for a more elaborate and constructive illustration exists, I’ll return to elaborate, elongate and elasticize. I want you to take a look at the chart above. It’s your garden-variety graph illustrating exponential growth. It is the most important piece of imagery you’ll ever see, for it is the essence of how things work — here on Earth, and in the vast expanse of the cosmos. 4. An asymptotic dotted line (pictured later) which the near-vertical part of the curve can never touch. Origin Point. The point from which the curve originates. The meeting of the X and Y-axis. For nearly every system occurring universally, naturally, and that of human construct, there is always an origin: the invention of currency, the first of the species, the Big Bang, absolute zero. Origins are the point, and the quantum leap it symbolizes, at which something comes from what initially appears to be nothing —the spark that ignites the flame — yet origins, more accurately, occur from a confluence of other systems that reorganize and reset their own disorder. X and Y-axis. An X-axis is often graphically represented as a linear measuring piece that is independent and self-evident. A Y-axis is often the graphical representation that illustrates the scale for a measurable quantity of some kind. Y usually depends to some degree on X. 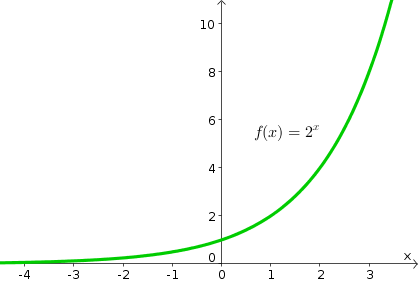 A curve whose slope consistently increases at an increasing rate. As we continue left-to-right across the X-axis, it appears to arch further and further up. That is the best-fit line for exponential growth. This is an important concept: for, in the universe, and for all things, perfectly linear growth does not exist — perhaps in a vacuum, yet never when contextualized, for reasons we’ll get into. In a previous essay, I posited: “Humans don’t process exponential change well. We tend to assume change is linear or logarithmic.” This becomes problematic when we base our assumptions and behaviors upon perceived linear growth. To this point, metrics like population growth, currency hyperinflation, technological advancement and the evolution of species are just a few of the multitude of examples of non-linear, exponential growth. An asymptotic dotted which the near vertical part of the curve can never touch. At some point, the graph points up so drastically that it becomes near vertical. The point at which the curve can no longer sustain itself, as it reaches near infinite levels of growth. This is called the asymptote which — despite my repeated attempts to convince the Internet I’m spelling it right — still doesn’t register as a known word in any dictionary. It is the limit, at which point (and beyond it) the function would cease to remain true. Now that we’ve completed the crash-course in calculus, it’s time for an overview of its applications in various scientific disciplines we’ll explore. I want to take note of two important chemical laws: The Law of Conservation of Matter and the Law of Conservation of Energy. They relate to each other an important way. Subsequently, the total quantity of matter and energy available in the universe is, and has always been, a fixed amount — never more or less. 1. Since there is no creation or destruction of mass or energy, no origin point can exist independently of other graphs of other systems. 3. An asymptotic on the vertical plane has the potential to function as the Y-axis for another related system or function, and an asymptotic on the horizontal plane has the potential to function as the X-axis in the same fashion. I want to focus the lens on point №3, briefly, and call back to Einstein. There is one final piece to the puzzle: “What happens at the asymptote?” I want to give a fairly swift overview of Quantum Mechanics as a discipline. To illustrate this more concretely, although humans have evolved over the past few million years and bare little resemblance to the original homo sapiens, we are still considered human. Many different permutations, a vast amount of proliferation, and yet we still fall within the same general bucket. Humans. Now, let’s put this all together. The above is a water phase diagram. Not only does this finally resolve the tension created by the initial water picture at the top of the piece, yet take note that it contains all the characteristics of the graph we’ve discussed earlier. 1. There are three origin points: the intersection of the X and Y-axis (absolute zero), the triple point (where water could theoretically exist as a solid, a liquid, and a gas) and the critical point (where water could theoretically exist as a liquid, and a gas). 4. Asymptotes at which the curve can never touch. 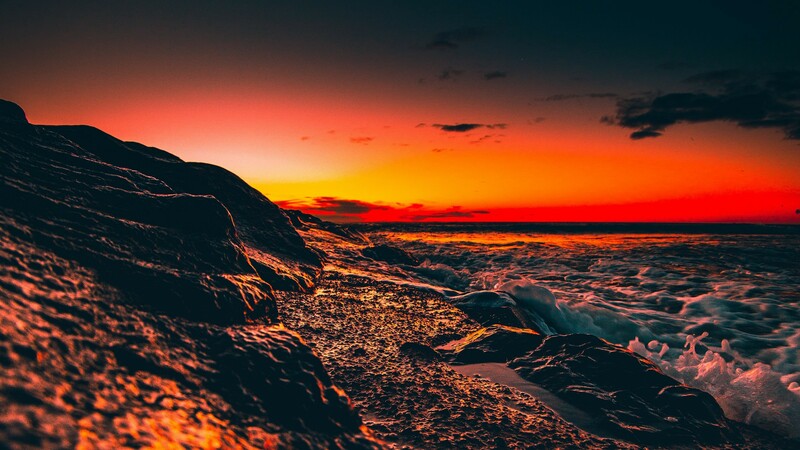 No water ever exists solely at the triple point or critical point, for water can never be both solid and liquid, solid and gas or liquid and gas. It is either one or the other. The dotted line illustrates the observable divide between solid and liquid. It is also important to note that the quantity of water within this graph never changes — as it is neither an X or Y-axis variable — satisfying the Law of Conservation of Matter. Also, the quantity of energy within the entire system never changes … only whether the energy is stored as potential energy, or existing as kinetic energy as temperature and pressure increase. This satisfies the Law of Conservation of Energy. Finally, due to Quantum Mechanics, it’s important to note that water can only be justifiably bucketed into three phases: Solid, Liquid and Gas. There’s your — hopefully understandable — illustration. Let’s explore how this applies on a broader, more philosophical and holistic scale. The origin point is the birth of the first human. The X-axis is time. The Y-axis is the amount of people inhabiting our speck of cosmic real estate. The curve is filled in red. The asymptote is — well, if you’re astute and have read some of the more interesting research out there — actually behind us. The world’s population stopped increasing at an increasing rate nearly a half century, and is expected to peak and begin a decline phase around 2070. This is magnificently important, for never in human history as population systemically declined. We have entered a “phase change” not unlike that of water boiling or apes evolving into humans. We’ve hit the limit of the function we’ve been riding the curve of since the dawn of humanity. We’ve reached the critical point. The origin point (not pictured) is the first printed U.S. Dollar. The X-axis is time. The Y-axis is the amount of debt carried by our entire country. The curves (both in an upward and downward motion) are the way debt relates to time. The asymptote is, well … possibly now? It sure looks like it’s happening soon or may have happened already. Due to the federal reserve banking system — a human construction aimed at either curbing or sanctioning debt spending, existing to prevent devaluation of a gold-backed dollar, which now infuses or eases money backed by debt itself — and an increase in spending that far outweighs the increase in income and credits earned by our government and industry, the collapse of the system and moment where the function ceases to exist nears closer and closer. The probability of an imminent collapse of U.S. currency (98% devaluation since 1913!) isn’t zero. Of course, these are tangible, concrete, measurable entities. What happens if we apply this quantum and exponential thinking to things a touch bit more qualitative and abstract? “The year would begin on January 1 with a bang — the Big Bang. Nothing much would then happen in our corner of the universe until about August when the sun would make its appearance. The earth itself wouldn’t show signs of any life until November — when the first multicellular organisms begin wiggling about. Dinosaurs show up around Christmas Eve. At 10:15 AM on December 31, apes would appear; humans would begin walking upright at 9:24 PM; modern civilization would appear at 11:59:20; Rome would fall at 11:59:57; and the Renaissance would occur just one second before midnight. If you accept the notion of evolution, you will agree that the earliest life appeared on earth approximately 4 billion years ago. Complex cellular organisms showed up 2 billion years ago, and the first multicellular organism about 1 billion years ago. The first reptiles and dinosaurs made their appearance 300 million years ago; the first primates 40 million years ago; homo sapiens appeared 160,000 years ago; Cro-Magnon man 40,000 years ago; and modern civilization as we know it began about 10,000 years ago. Sketched out, the shape of that graph would look an awful lot like all the previous exponential functions we’ve laid out. Related to that, there’s the logarithmic timeline. You can view a simple one nearly anywhere, but for ease of use, here’s a link to a quick and dirty explanation presented by Wikipedia. It allows us to process exponential change in a more digestible fashion. After all, saying that if the universe were shrunk into one year and humans just appeared three hours before the end of the year can be a bit hard to wrap our neurons around. I bring up the logarithmic timeline intentionally, to more clearly illustrate a point I’d like to make about technological advancement. If you were to sketch time linearly, the technological advancements would be exponential. This, of course, is the essence of Moore’s Law — the de facto representation of exponential techno-progress. Note that a logarithmic scale also has an asymptote. This is peculiar, because it illustrates — perhaps even unwittingly — the theory that an origin point itself lies on an asymptote. As we discovered above, an asymptotic point can function as the limit of another related system! How interesting: An origin point, an asymptotic point, all the same. The representations of when systems collapse, and when functions cease to exist. Just as in water phases and quantum mechanics. With respect to evolution and technology, it would seem as though we’ve neared asymptotes, and that a collapse of the current status quo is imminent, and other novel exponential systems will rise. But what does that mean on a more practical level? How does that bode for our species? For societies? For us as individuals? Systems, some human-constructed and some naturally-occurring, are nearing their critical point — seemingly all at the same time, or at the very least, a few important systems I’ve cherry-picked in service of a larger point. Indeed, the 20th century produced greater war-related destruction than in all the centuries preceding it, and the 21st century has ventured into this nebulous, quasi-asymptotic epoch. Climate change looms, natural disasters are more devastating than ever, we’re currently engulfed in an all-encompassing global regression into authoritarianism, and the US in many facets has ventured into its most elementally precarious phase in its history. A freshman in college going for an IT degree will see roughly 50% of their knowledge become outdated by their junior year. Wealth concentration has caused the gap between the rich and poor to grow astronomically. There have also been more medical advancements within our lifetime than in all preceding generations. Paradigms are shifting, slowly and subtly, and, in some cases, powerfully and destructively. What does this mean? It’s time to bring it all back to god. God is an abstraction we use to explain origin points, asymptotic points, critical points, phase change, system collapse and rebirth, functions at their points where they cease to exist and spit out wonky, otherwise inexplicable tumult. It gave us our science, our law and order, our connection to our fellow humans and planet, in absence of better explanation. We invented it millennia ago, several paradigms ago. If you think of the roots of current functions nearing their critical points — the stability of the American republic, population’s once theorized endless exponential growth, the scope and power of technology, debt-backed currency, and so on — they were all crafted at the very least an entire paradigm ago. The underpinning for each waning in usefulness, nearing obsolescence. They’re stories we tell ourselves — as individuals, as nations, as societies, as the human collective — are running out of ink, running out of ways to maintain a coherent narrative. It’s vital we recognize this: we are in the midst of a phase change. This can be tremendously dangerous, incredibly exciting, or potentially serene. Of course, it could be all three, all at once, depending on which systems you take into account, and how we account for them. Our policies need overhaul, sure, yet I posit the changes required of humanity at all levels from individual to international will be more wholesale and elemental than most. The stories we tell ourselves — the ones that inform our laws, our art, our sciences, our texts — don’t just need new words or new drafts. We need whole new stories. Ones that map more closely to the truths we’ve discovered since we last touched ink to paper. That’s less convenient than trusting in god, or in capitalism, or in the nature of the very institutions we expect to be there for us because they’re … well … institutions, yet that’s the level of work that needs to be done to navigate phase change without potentially disastrous and disorienting outcomes awaiting us on the other side. I think anyone given a preference would like to believe a god-like figure exists: a divine creator, a benevolent sage, an all-seeing eye. At least then we could rest easy, knowing a plan was in place, put into execution by unwittingly loyal and dutiful servants. Everything as it should. Everything as it must. Well, there is a plan in place. It’s dictated and projected by math and science — exponential functions and quantum mechanics. And it is being put into execution by unwittingly loyal and dutiful servants. It’s up to us to recognize what’s happening all around us, and the turbulence ahead: the singularity? population decline? global war? societal collapse and rebirth? and what … exactly? hard to know for sure. We are not water. We cannot with great certainty research the totality of society in a controlled environment, nor is there a blueprint for such an all-encompassing series of paradigm shifts.